This smug and smart little Elf Holding Gift no. 2 is a great little accent item to bring a smile to anyone’s face. 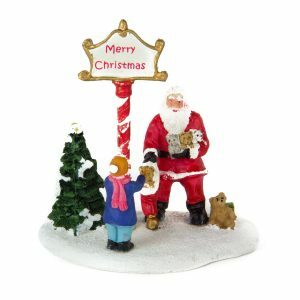 He measures around 8cm wide by 11cm in height, which makes him the ideal size to tie to a wrapped gift, hang on a tree, or suspend from a balsam wreath. 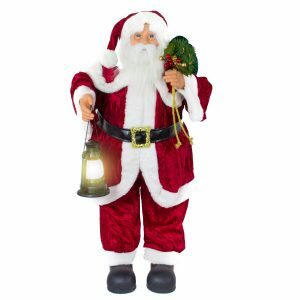 He also would make a cute and clever item to tuck around the home to surprise others, and to let them know that Santa is coming soon! He keeps his eyes on all members of the household to make sure to report to Santa who has been naughty and who has been nice this year. 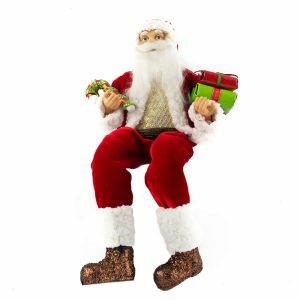 He wears a festive flocked suit, and is detailed with attention. 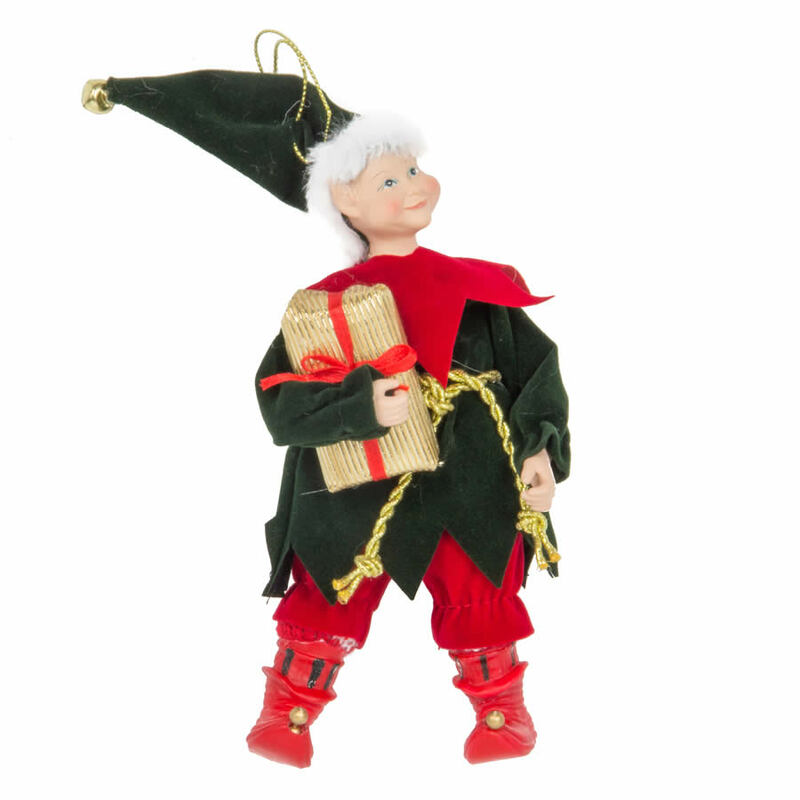 Check out his curly-toed boots and his little pointed ears! This funny little fellow is a great gift to share with others, too, when you want to give something that they will enjoy and that will bring a smile to their face, while sticking to a holiday shopping budget.